…I have made an interesting and quite unexpected discovery. In 1954, I wrote an article in the Swiss weekly, Die Weltwoche, in which I expressed myself in a sceptical way, though I spoke with due respect of the serious opinion of a relatively large number of air specialists who believe in the reality of Ufos…. In 1958 this interview was suddenly discovered by the world press and the ‘news’ spread like wildfire from the far West round the Earth to the far East, but—alas—in distorted form. I was quoted as a saucer-believer. I issued a statement to the United Press and gave a true version of my opinion, but this time the wire went dead: nobody, so far as I know, took any notice of it, except one German newspaper. The moral of this story is rather interesting. As the behaviour of the press is sort of a Gallup test with reference to world opinion, one must draw the conclusion that news affirming the existence of the Ufos is welcome, but that scepticism seems to be undesirable. To believe that Ufos are real suits the general opinion, whereas disbelief is to be discouraged. Surely the same holds true today. For the general public, whether UFO sightings are in fact on the down- or up-swing, they are reported on in some part of the world daily, and dramatic sightings (e.g., the Nimitz Encounter) are given press both proper to and amplifying their singularity. This ready fascination extends to the belief in Extraterrestrial Intelligence (ETI): astronomical anomalies (e.g., the Fast Radio Bursts recently recorded by a radio telescope in Canada or the recent passage of the Oumuamua object through the solar system) seem invariably to evoke some reference to ETI, even jokingly, while the entertainment industry and its audience never seem to tire of fictions inspired by what ufologists term the Extraterrestrial Hypothesis (ETH), that UFOs are spaceships piloted by almost invariably humanoid ETIs. Even in the rarefied world of ufologists and ufophiles the ETH along with vast, complex speculative universes inspired by insider testimony stirs an inordinate amount of interest compared to more careful if not sceptical “scientific ufology” or psychosocial approaches to the phenomenon. This drama is presently being staged after a fashion in the reception of History’s Project Blue Book. The series premiere was well-received by those who find in it their fascination with the reality of flying saucers and the suppression of the truth of ET visitation played out (again), while “serious” ufologists have for the most part proven vociferously critical of the dramatic freedoms the series has taken with the historical facts. “This… surely merits the psychologist’s interest” Jung went on to write concerning this tendency. In pursuing a purely psychological angle, Jung adopts a quasi-phenomenological approach, bracketing the question of the being, reality or nature of the UFO to concentrate on its purely immanent, subject-oriented, if not subjective, meaning. Jung was able to have insights and draw conclusions independent of any claims concerning the ontological status of the UFO. In taking this approach, he sets an example for psychologists, sociologists, and researchers in related disciplines or of like orientation to explore the psychosocial aspects of the UFO phenomenon independent of controversies about whether or not “the flying saucers are real”. This dimension of the UFO phenomenon apart from the question of the reality of UFOs might be termed “the UFO Effect”. Despite adopting this phenomenological stance, Jung’s position was also curiously (if sagely) ambivalent, for, at points, he ventures the possibility that UFO sightings and close encounters might find their explanation in purely psychological, if nonpathological, terms. He refers to what he sees as analogous occurrences, collective visions experienced by soldiers in the First World War and, more problematically, by thousands of witnesses at Fatima. In attempting to explain the reality or nature of the UFO as ultimately a purely subjective if possibly collective phenomenon, he sets ufology on the path to the Psychosocial Hypothesis. This “psychosocial ufology” as practiced embryonically by Jung, then, has two arms, one that explores the UFO Effect, another that seeks to solve the UFO mystery by explaining its nature in terms immanent to the psyche, society, and culture; the UFO is not caused by a real object but by subjective mechanisms, personal or communal. Jung, of course, also kept an open mind as to whether or not the flying saucers might not prove to be real objects, as well. 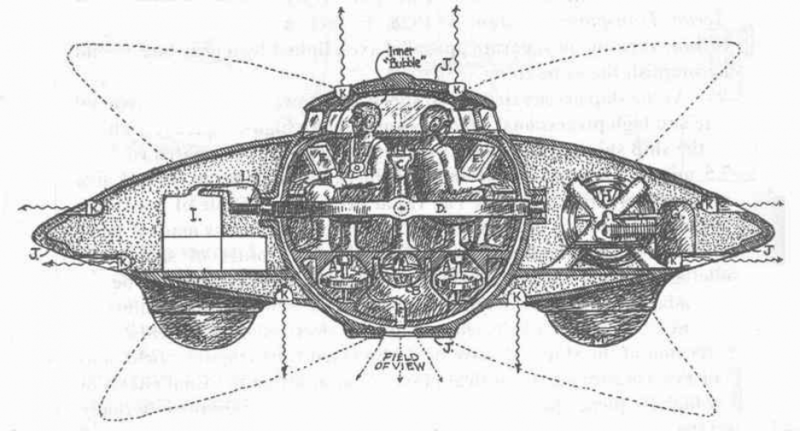 Nevertheless, the line of argument developed by sceptics and debunkers around the time Jung was thinking about and writing on the Flying Saucers might be understood as a version of the Psychosocial Hypothesis. Sighting reports of UFOs and close encounters were not so much explained as explained away as being so many misidentifications, hallucinations, or outright hoaxes inspired by the anxieties of the early Cold War, i.e., UFOs were not real, physical objects, but various errors and failings on the side of the human observer or agent. The efforts of the sceptics make common cause with what I will call “scientific ufology”, not so much because of the latter’s methods of research (which only rarely approach the scientific) but because of the focus and assumptions of that research. The scientific ufologist seeks either to solve or dissolve the mystery of the UFO by discovering or otherwise determining one or more identifiable entities (objects) that explain it, to make the Unidentified Flying Object into an identified object or set of objects. Tendencies in scientific ufology echo Jung’s experience: the ETH “suits the general opinion”, while more cautious, careful research receives short shrift from the general public or derisive rejection institutionally to the point that most of it might be said to be pursued by an “Invisible College”, though with some exceptions. The psychologically interesting way the fascination, if not belief, in the reality of the UFO—what I will term “ufophilia”—takes precedence over more sceptical approaches reveals how ufological (if not more general) interest in the phenomenon orbits the question, as it might have been posed in Jung’s day, “Are the flying saucers real?”. But this question cannot be said to govern ufology as a whole, i.e., the field is not accurately divided between what is characterized here as the psychosocial and scientific approaches to the question of UFO reality. A distinction that would schematize the field rigorously would distinguish those who pose the question of UFO reality from those who do not, i.e., those who seek to identify or otherwise explain the UFO (let me call them “UFO Realists”), those who take the UFO as the object of their research, as opposed to those who bracket the question of the reality of the UFO altogether, the phenomenological ufologist, whose object of investigation is the UFO Effect. A rigorous division of the field is therefore one based not on method but object. One consequence of this reorganization of the field is that it inverts the valuation of the “the general opinion”. Where “the general opinion” is most concerned with the reality of the UFO, phenomenological ufology is focussed exclusively on the UFO Effect. Indeed, the ufophilia of “the general opinion” is itself an aspect of the UFO Effect, a topic for (methodologically phenomenological) psychosocial research. Moreover, by extension, scientific ufology, as a ufophilic institutional (or para-institutional) practice and discourse, is itself yet another aspect of the UFO Effect. UFO Realism is therefore subsumed by the UFO Effect. It, further, follows that phenomenological ufology is itself part of the UFO Effect, entailing the possibility of, if not a duty to, a philosophical self-regard, a demand inessential (though not without value) to investigations focussed on UFO reality. An unsettling irony is implied: where the ufophile and scientific ufologist, UFO Realists both, focus on an object whose objective reality and nature remain questionable and mysterious, unreal until proven real, the object of the phenomenological ufologist (the UFO Effect) is unquestionably real. The one seeks the real and misses it, while the other surrenders the real and finds it. In this regard, the generally held prejudice that values the natural sciences and STEM over the social sciences and humanities is overturned. As the existing scholarly literature shows, it is in fact possible to study the UFO in its guise as the UFO Effect in the disciplines of anthropology, cultural studies, ethnology, history, political science, psychology, religious studies, or sociology whereas to pose the question of UFO reality in the natural sciences is by far and away anathema. Indeed, the majority of what would pass itself off as ufology surely deserves the harsh dismissiveness Saliba’s scholars share with Jung. Is it the case, then, that “the general opinion” and UFO research, whether conducted by the human or natural sciences, is actually organized according to how one answers the question of UFO Reality? Yes and no. Materially, in fact, because of the modern history of the phenomenon and its reception (the UFO Effect in all its aspects) public and scholarly opinion on the matter seems to come down to an acceptance or rejection of the ETH. Such would polls and the sometimes stated positions of institutional researchers tell us, a curious fact of the UFO Effect that calls for investigation itself. In principle, conceptually, however, an argument can be made (as above) to orient research around one’s stance to the question of UFO Reality, i.e., whether or not one asks it at all, not one’s answer. The modern history of the UFO and that of Jung’s and Vallée’s engagements with the phenomenon are instructive. The beginning of the modern era is marked by the USAF’s investigative projects (Sign, Grudge, and Bluebook), which tangled with both the question of the reality and nature of the flying dics and their social implications, in terms of propaganda and psychological warfare. Jung begins with a sceptical approach that reveals a manifold psychological content, but he ends having to admit the possibility of the flying saucers’ being real. Vallée begins as a scientific ufologist, curious to investigate the physical reality and nature of the phenomenon, but comes to realize the equal importance and mystery of the UFO Effect, from which point his work proceeds along both tracks. Ufology, then, if not “the general opinion,” might be said to have a positive and negative pole: the UFO Effect as a plenum of constantly growing data, ready and ripe for new research; the UFO Reality as a question, a space, a maw with a seemingly bottomless appetite for new speculations. In principle, I can see no reason a researcher in the human sciences need take a stance on the reality and nature of the UFO, however true it is that they in fact do. That a phenomenological ufology should at the same time necessarily or tacitly take a stance with regard to UFO Reality would reveal a philosophically pleasing deconstructive (in a rigorous sense) symmetry (the attempt to articulate which first motivated this post), but I cannot at present imagine a sufficiently persuasive argument in this direction. It is however tempting to propose that scientific ufology and phenomenological ufology are related in a way that is perhaps premissed on analogy to the post-Kantian understanding of Reality and Knowledge, Being and Judgement or Consciousness: the Realists wrestle over the nature of the UFO as a thing-in-itself, necessarily, in order to debate the question at all (is there an objective correlate to the content of reported sightings and encounters? ), repressing, ironically, the phenomenality of the object of their contentions if not investigations (the UFO Effect), while the ufological phenomenologists risk a strict, methodological idealism that would drain the being ([objective] reality) from the thing-in-itself that is, ironically, the condition for the phenomenon in the the first place. But this is to say too much too quickly. One can imagine, very roughly, too, a para-Lacanian view…. Next ›The Extraterrestrial Hypothesis: Symptom or Pathology? Had to look up Lacanian view, which is still unclear to me, but would a “para-Lacanian” view be sort of para-abnormal? As always, UFO and paranormal phenomena are beyond understanding, in my case, as is the supreme being; it boils down to faith or disbelief. victoriagrimalkin–thanks for you comment–by para-Lacanian, I meant an approach based on certain ideas of the psychoanalyst Jacques Lacan (the Imaginary, Symbolic, and Real, and Desire), but para- because I am neither a Lacanian nor am I very confident about my grasp on his ideas. The thinker Slavoj Zizek applies Lacan to cinema and culture in general with great success. I do have a blog post from this perspective in the works, but it needs to stew a little longer!–But I do wonder if, at least in the case of the UFO, it is a matter of belief: for the scientific ufologist, no, because he or she can point to physical effects (light, heat, etc. ); surely not for the phenomenological ufologist, whose object of study is human belief and behaviour, very measurable phenomena.–But there is, surely, a kind of theological analogy: the scientific ufologist is a believer (the UFO is real, though its nature has yet to be determined); the phenomenological ufologist is an agnostic; and the debunker, an atheist.–And it is arguable that the UFO phenomenon is essentially a religious phenomenon, but in a most uncanny wise: John Saliba has a great chapter on this matter in _The Gods Have Landed_ (SUNY Press, 1995). A Lone Voice in the Wilderness No More!